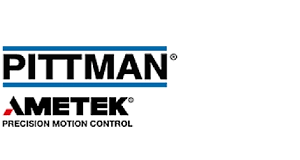 Pittman Motors is part of the AMETEK Precision Motion Control. Pittman brushed and brushless DC servo motors are used in a wide variety of high tech motion applications including lab automation, medical devices, communications equipment, semiconductor processing equipment, aerospace systems, and many other applications where precision motion is critical. 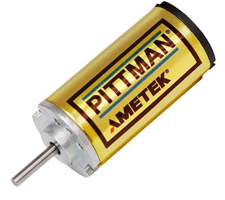 The Pittman motor line spans a wide variety of DC motor sizes and technologies ranging from tiny brushless, slotless DC motors used in high-speed medical applications to large NEMA frame DC servo motors used in sophisticated automation equipment. Quiet brushed DC motors designed to offer smooth low speeds. The motors feature optical encoders from 50 to over 8000 counts of resolution along with fail safe brakes in both rear and front mounting configurations.